I’m sure you’ve noticed the drop in temperature this week! It looks like proper winter has finally come to the UK and there’s lots of snow in many places and freezing cold. We’ve had our first snow of the winter this week which the kids are very excited about. Hopefully we’ll get a little bit more so that there’s enough to make a snowman! There are snow warnings for across the country and some places expected to hit very low temperatures so maybe! How do you stay warm when it gets this cold? For me, it’s usually layering up the clothes and drinking lots of teas and using a hot water bottle but wouldn’t it be lovely if the whole house was warm and toasty? I’ve just been introduced to Everhot range cookers which are cookers where the kettle’s always poised to make a fresh coffee, where cakes are evenly baked and where the family can warm their hands while you enjoy a glass of wine. Providing the beating, warm heart of the kitchen, it will quietly provide a steady heat all-day while using less than half the energy of a comparable range cooker. They look amazing and keep your kitchen warm and cosy for spending quality time with your family. The very first Everhot range was built more than 40 years ago at Coaley Mill in Gloucestershire and the aim was to develop an efficient heat storage range which would make use of the water turbine installed by the owner, Ossie Goring. While Ossie still lives at the mill, his son, Guy, now runs the business. It’s lovely that it’s still a family run business! 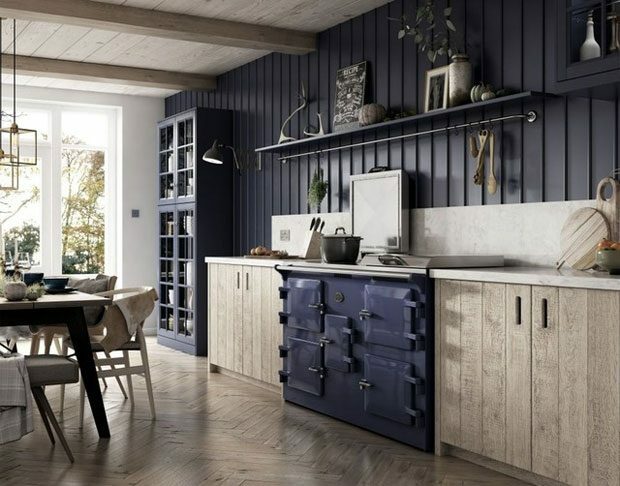 A good range cooker should last a lifetime, so it makes sense to choose one that makes it as easy as possible to take advantage of new advances in renewable energy. Instead of needing 35 amps of electricity — like its major rivals — an Everhot is designed to work on a ‘trickle feed’ of less than 13 amps. This means (quite apart from much lower energy bills) it is particularly well suited to running off solar panels and water turbines. Everhot’s passion for conserving energy has even led to the whole company being carbon negative. 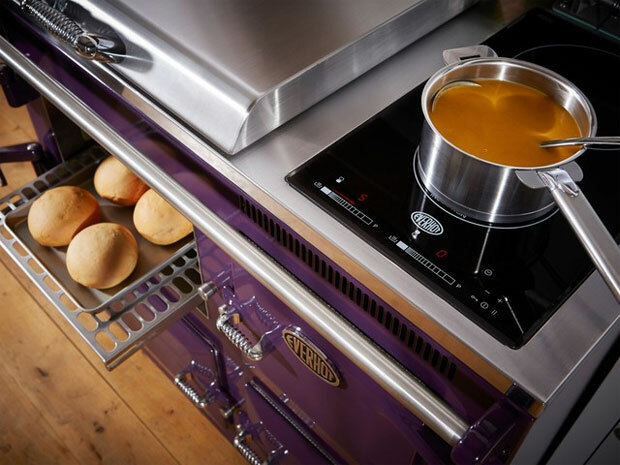 Everhot cookers are also easy to control and great to cook on and there is no need for servicing or any complicated flues or pipes — making it easy to take your Everhot with you when you move home which I’m sure you would want to. 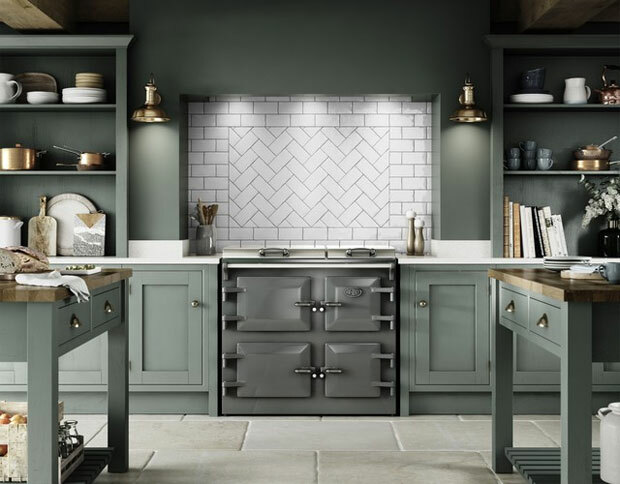 These cookers are built to last a lifetime and thanks to an in-house installation team, a robust design and traditional British craftsmanship there is usually no need for servicing. 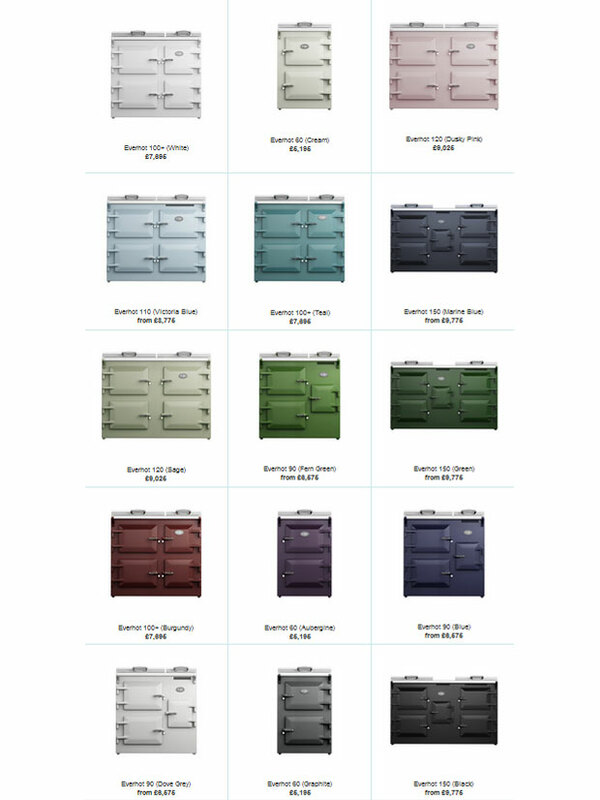 Everhot cookers are now available in 15 colours to suit every kitchen — Dusky Pink, Fern Green, Aubergine, Black, Blue, Burgundy, Cream, Dove Grey, Graphite, Green, Sage, White, Teal and the NEW Victoria and Marine Blues. Which one would you choose? Post in collaboration with Everhot.